I was in the first cybersecurity summit about technological law and IT security last Friday in Cáceres. 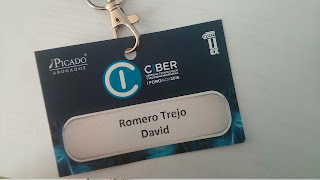 It has been a good place to take in touch with workmates and experts about the IT and law field to exchange experiences and security knowledge. Therefore, this time, I'm going to write about what I learnt or what the speakers talked and my thought in this summit organized by the law firm called “Picado Abogados” and the University of Extremadura. 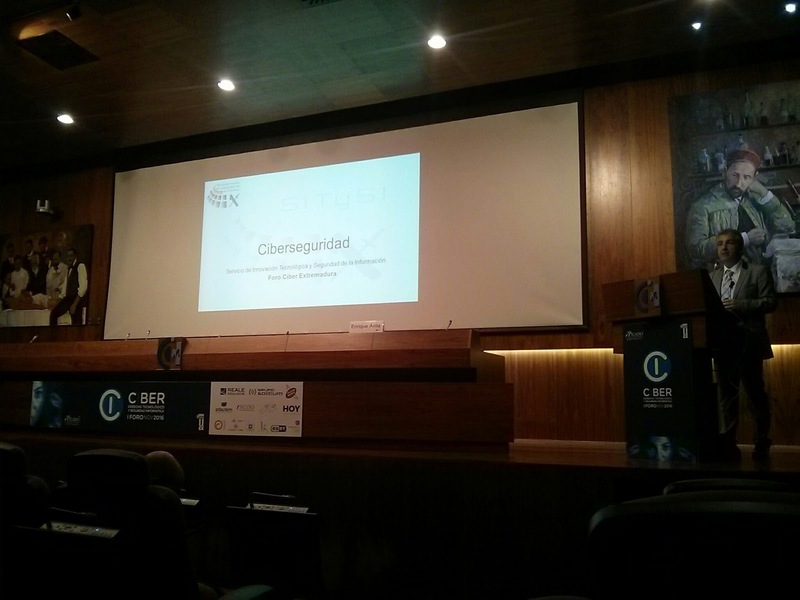 The first speaker was Enrique Ávila, who works as a Manager at Spanish National Centre of Excellence on Cybersecurity (CNEC). At the beginning, he said that lawyers don't want to know anything about IT and this is dangerous, but it's most dangerous an IT engineer who has read a law and thinks that he is doing something right, when, maybe, he hasn't understood the law. This is a shout for collaboration between IT engineers and lawyers against cybercrime. He really spoke about many things like international law, crime as a service, cyberintelligence and counterintelligence, right to be forgotten, threat against industrial systems, IoT, University, etc. Many things, yes, many things. Next speaker was Silvia Barrera, who works as an Inspector at the Spanish National Police. She spoke about social networks (RRSS) and its dangers. She highlighted that complaints against sextortion, bullying, etc isn't the solution, but security awareness, because it lasts too many time since someone complains about something till it is resolved. In addition, social networks companies don't have to save records like ISPs do, as a result, this is another reason for delaying investigations. Sometimes, it's late, the victim doesn't want to bear for more time, and she/he commits suicide. Therefore, she showed us many examples about bad practices in social networks, and she told us to be careful on the net because there are many people - teenagers and adults - who don't know how to use it. 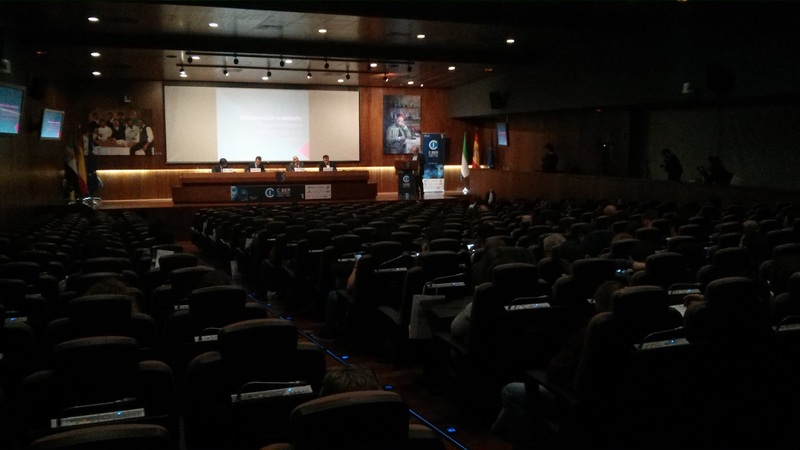 After the social networks talk, we went for a coffee to continue thereafter with a debate between Andrés Caro, Juan Luis Picado, José Luis González and Josep Albors. 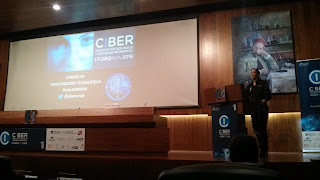 Andrés works as a professor at University of Extremadura and he admited that the security field isn't in the IT engineer curriculum at the University of Extremadura. In addition, he emphasized about penalties against a murderer and a cybercriminal, it isn't the same, and sometimes a murderer has less penalties than the cybercriminal. Juan Luis works as a lawyer at the law firm “Picado Abogados” and he spoke about the necessity of working together the University and private companies for teaching the real world to students. José Luis works as a manager at COMPUTAEX-Cénits and he highlighted about the danger of HPC if it is used for cracking passwords. He also said that many small companies can't afford to have security people in their small companies and this is a risk that they are willing to accept. Josep works as a chief communications officer at ESET of Spain and he scared a little bit to students because he told them that the University is the beginning and they have to keep studying to be updated. This is a big truth, I haven't stopped of learning new things after finishing my degree. Regards my friends, drop me a line with the first thing you are thinking!! !